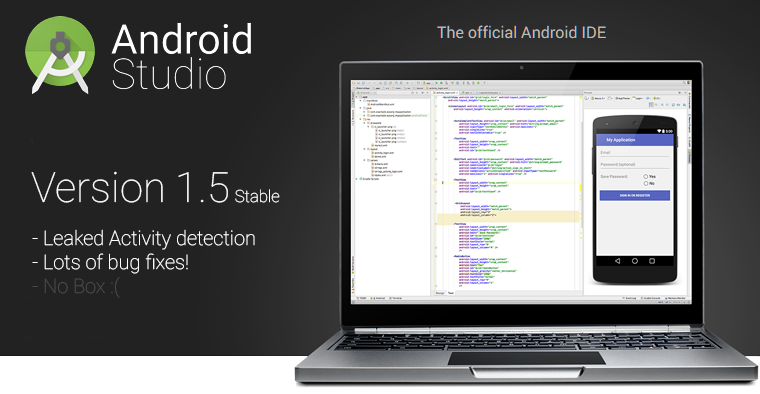 Android Studio v1.5 just rolled out to the stable channel today and it's absolutely packed with a feature. Truth is this release was mostly focused on bug fixes, performance improvements, and other fine tuning. Of course, for a tool used in professional software development, those certainly aren't bad things. Take a look as Reto Meier explains the changes and trolls teases Android developers with a mystery box that surely must include new language support, or a fully functional theme editor, or... something more likely. The one notable addition can be found in the Memory Profiler. It's now capable of detecting leaked activities while testing. This is certainly helpful for catching the oversights while coding. Of course, don't forget to peek at Square's LeakCanary for some additional benefits (I happen to know Google uses it in quite a few of its own apps now). Version 1.5 should be available to everybody regardless of the channel you're sticking with. Just check for updates and start the download. Even with the hop from previous stable (v1.4.1), the Mac version is just 78 MB, and updates for canary or beta versions are much smaller, so this should go quickly. That just leaves us with more time to speculate about whatever is in that damned box. Reto, why you gotta do this to us?